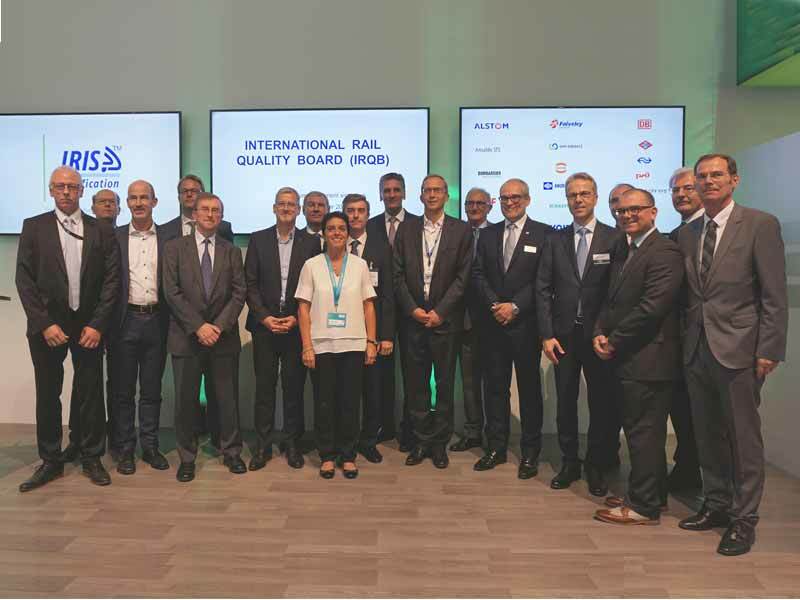 The International Railway Quality Board (IRQB) was founded at this year's rail fair InnoTrans. Dr. Frank Brode (right), Chief Technology Officer, signed the Consortium Agreement for HARTING. The International Railway Quality Board (IRQB) was founded at this year’s rail fair InnoTrans, with HARTING one of the founding members. The aim of the consortium is to ensure quality in the rail industry. The consortium consists of railway operators such as Deutsche Bahn and Swiss Federal Railways (SBB), system integrators such as Siemens and Alstom, as well as component suppliers such as Knorr-Bremse and HARTING. The consortium’s founding marks the first time an international association has been created across all levels of the value chain of the rail industry. This makes it possible to jointly define industry-specific quality standards that are adapted to the demanding requirements of the rail industry. In addition, participants from the different value-creation levels can also directly monitor results, such that specifications lead to immediate benefits for the customer. “Joining means we’re always in tune with the times. We know early on which quality requirements the railway industry places on our HARTING products and solutions and can continue to actively ensure the high quality standard within the rail industry,” says Dr. Ing. Frank Brode, Chief Technology Officer of the HARTING Technology Group. An important instrument for ensuring quality will be the expansion and continuous improvement of the IRIS certification scheme. After the transfer of the IRIS standard to the international standard ISO TS 22163 and the revision of the certification scheme to Revision 3, the conditions for this are very good. HARTING has been involved in IRIS certification from the very beginning as a member of the IRIS Steering Committee and e.g. holds the first IRIS certificate. That is why it was natural for HARTING to assume responsibility here as well and to further enhance quality within the railway sector as a member of the IRQB.